For Schools, Kindergartens, Playcentres and fundraising. 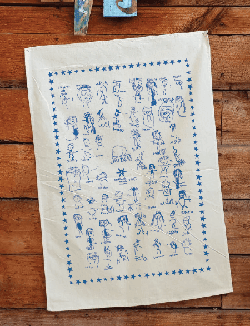 Tea towels make perfect gifts, are easily mailed, long lasting and a great way to show off your children’s artwork and most importantly involve the children in the fundraising process. 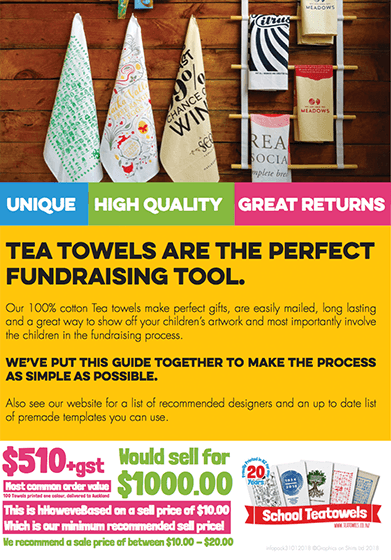 Tea Towels as a fundraiser can have great returns, in fact with a sale price of $15.00 Schools and clubs can make over 100% on even smaller orders. 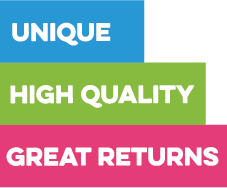 We do have a few selling tips and some FAQS in the Infopack to make sure your fundraiser is a success. To help make your fundraiser a success please download our info pack below, which has instructions on assembling your tea towel we also have a list of designers you can contact to help with the design process and Schools, Kindergartens and Club Fundraising groups are welcome to use our Regional Teatowels at fundraising prices. 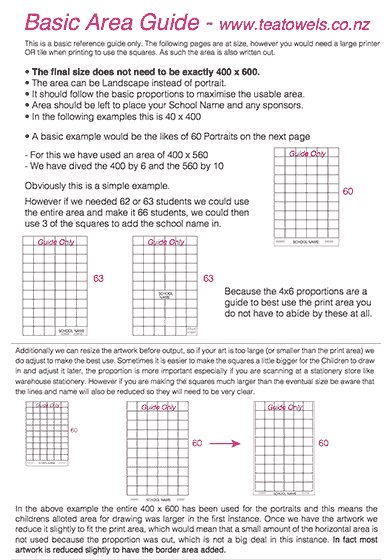 We have put together a infopack to help with the process along with some other resources below. If you are a Business, Agency or Band please see our Custom Teatowel Page. 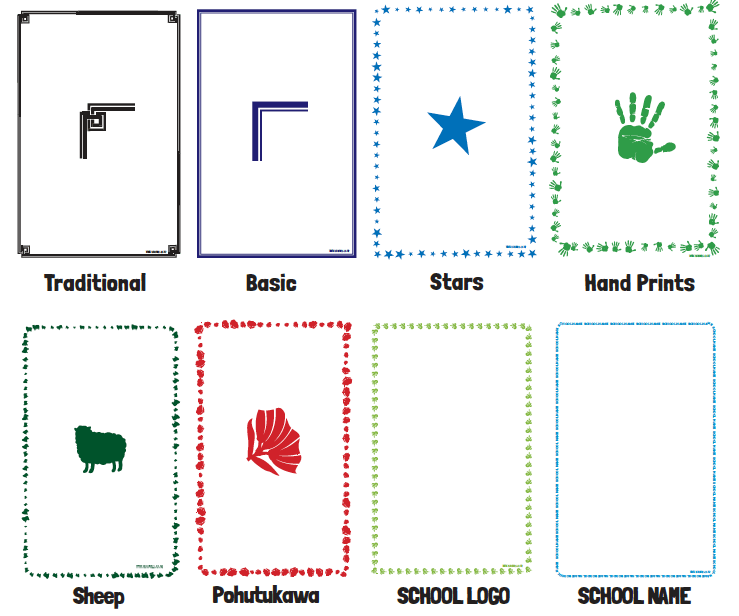 To help out we have some borders to choose from, alternatively you can design your own, or not have one at all! Our Teatowels are 100% Cotton, Available in Natural or White and are 730mm x 520mm. with a print area if 600mm x 400mm. 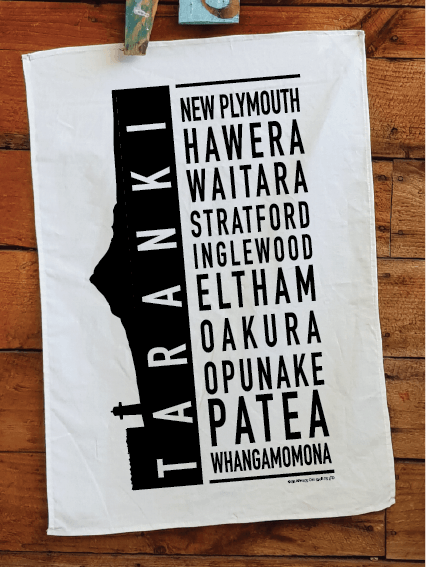 While Portrait Tea Teatowels are very popular many Schools opt to go with their own designs, with many using sketches of their Schools or Road Names to fundraise. You can view some past examples on our Instagram. 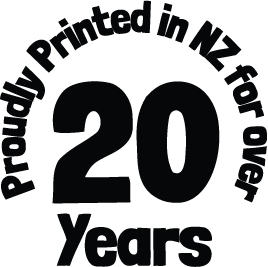 We do offer the fundraising pricing for our New Zealand Regional Tea Towel designs. However with the imminent and long overdue demise of single use plastic we have had a massive increase in the requests for fundraising school and club bag printing, Our Infopack has full pricing for bags.